We specialise in working with athletes on their individual needs with a focus on mental skills preparation and process enjoyment. Tom is a Level 1 Accredited Triathlon NZ coach. He has worked with a number of individual athletes, clubs and junior groups. 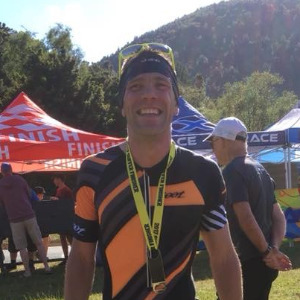 Tom has completed Ironman NZ twice and Ironman Wales; represented GB at the 2003 World Champs in Queenstown, has a half ironman PB of 4.19 and a half marathon PB of 1.15. Tom is also club coach for the Kāpiti Running & Tri Club and runs the Kāpiti Kids Triathlon series at Waikanae. Success. Coach Tom Bland has been notified of your message.